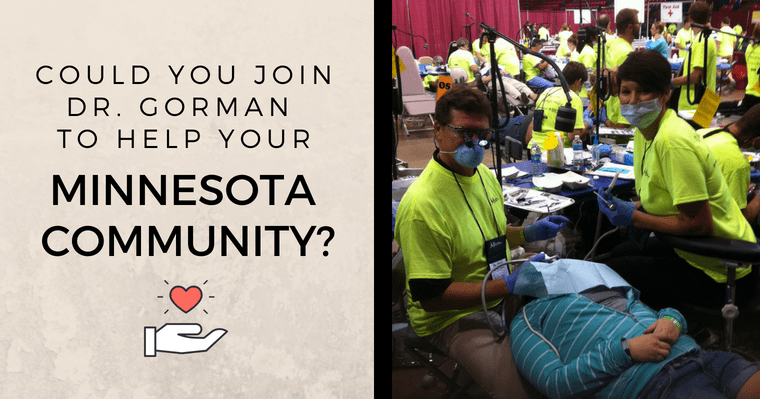 The Gorman Center for Fine Dentistry will be volunteering with Minnesota Mission of Mercy (MnMOM) this September to provide no-cost dental services to Minnesota residents during a three-day event this September. How can you contribute to the Mission of Mercy event? MnMOM plans to provide over one million dollars of charitable dental care. Their goal this year is to serve 2,000 patients. They are looking for dental and non-dental helpers willing to donate their time on Friday, September 7 and or Saturday, September 8. Volunteers must be 18 years of age or older and willing to smile and have fun. Many volunteer roles do not involve dental procedures. YOUR presence will bring them one step closer to that goal! Invite your family and friends to lend a helping hand. Volunteers are the heart of MnMOM. The Minnesota Dental Association and the Minnesota Dental Foundation is working to organize an unprecedented statewide dental access program — the Minnesota Mission of Mercy (MnMOM) event, to be held September 7-8, 2018 at the Minneapolis Convention Center in downtown Minneapolis. Approximately 2,000 patients are expected to be treated over the course of two days. As a Minneapolis/St. 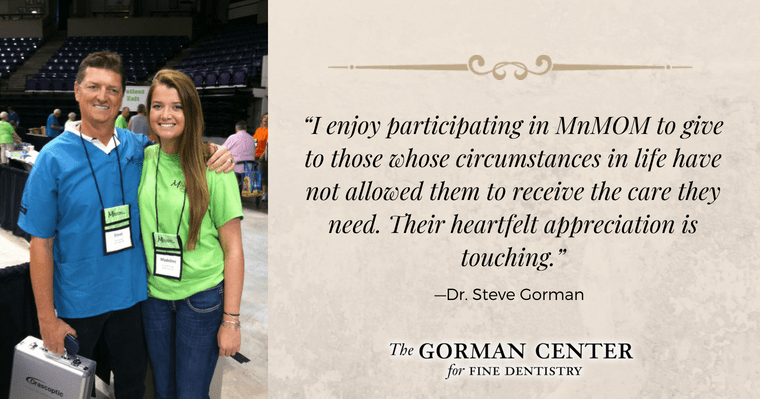 Paul dentist, Dr. Gorman understands his vital role in contributing to the community. Learn more about Dr. Gorman and how he loves to transform people’s lives by improving their oral health with exceptional Minneapolis dentistry.